Viewing 24 of 53 items. Simple elegance in italic or block type. You'll appreciate the convenience of address labels on a roll. 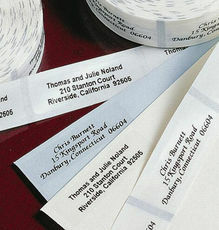 A set of address labels in the font as shown. Your choice of stock and ink. Size..
Set of 90 return address labels. Size 2.625" x 1". 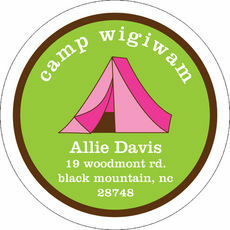 Flat printed in Hot Pink ink with your choice of typestyle. Positioning only as shown. ..
Set of 90 return address labels. Size 2.625" x 1". Flat printed in Chocolate ink with your choice of typestyle. Positioning only as shown. ..
Set of 90 return address labels. Size 2.625" x 1". 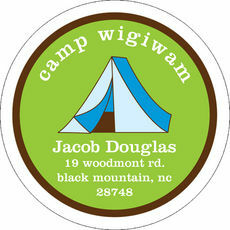 Flat printed in Red ink with your choice of typestyle. Positioning only as shown. ..